Created the museum concept of the first Core Exhibition at Beit Hatfutsot (closed in October 2017). Abba Kovner contributed the central theme of Beit Hatfutsot, which is the idea that it should be based on key concepts that have characterized Jewish existence throughout the generations – concepts that the “gates” of the exhibition are based on. Kovner also wrote the texts of the exhibitions, and dedicated himself to Beit Hatfutsot until his last day. 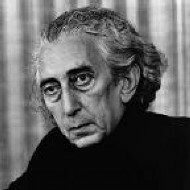 Artist, writer, award winning poet, partisan fighter, scholar and expert in history Jewish thought, both traditional and secular, Kovner was born in Sebastopol, Ukraine, and was active in HaShomer Hatza’ir. In World War II, he was one of the leaders of the Jewish fighters and commanded Jewish partisans. He moved to Palestine in 1945, and books of poetry placed him as one of the foremost writers of the Holocaust generation. He won the Israel Prize for literature in 1970. Thinker behind the idea of establishing Beit Hatfutsot as a living testament to the Jewish dispersion following the Holocaust. Nahum Goldmann, the primary thinker behind the idea of establishing Beit Hatfutsot as a living testament to the Jewish dispersion following the Holocaust, sought to increase knowledge and understanding of the young generation who were born in a free and autonomous country, about the lives and creations and Diaspora Jews. 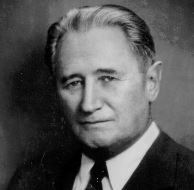 He was a statesman and Zionist leader, president of the Jewish Agency in the period following the establishment of the State of Israel, was among those initiating the establishment of the World Jewish Congress, and in 1936 was appointed chair of the Congress. He served as President of the World Jewish Congress from 1953-1957. He was active in the most important issues facing the Jewish people: such as Russian Jewry, Jewish education and Jewish culture. He believed that the future of world Jewry was mostly dependent on the successful struggle against assimilation. First Director of Beit Hatfutsot from 1976-1981. Jesaja (Shaike) Weinberg, the first Director of Beit Hatfutsot, was born in Poland and educated in Germany. In 1933 emigrated to Palestine where he was active in Hashomer HaTsa’ir and served in the Jewish Brigades. From 1961-1976, he was the director of the Cameri Theater in Tel Aviv. In 1970, he also began working in the planning committee of the Beit Hatfutsot museum, first as a volunteer. After his retirement from Beit Hatfutsot, he became a consultant in the creation of Jewish Museums in Los Angeles, New York, Germany, and Poland. New York. In 1988 and 1989, he led the establishment of the Holocaust Museum in Washington, D.C., which he directed until 1996. He received the Israel prize in 1999 for his unique contribution to Israel and society. First president of Beit Hatfutsot in the early 1970’s, promoted the planning process that led to the museum’s opening. Meyer Weisgal, the first president of Beit Hatfutsot in the early 1970’s, promoted the planning process that led to the museum’s opening. He was a public figure, Zionist businessman, and fundraiser. He was born in Poland in 1894 and emigrated to the United States in 1905. He was active in the Zionist movement there and served as the secretary of the Zionist Organization of America. For many years, Weisgal was Chaim Weizmann’s right hand man. He moved to Israel in 1949 and dedicated all his efforts to promoting the Weizmann Institute of Science in Rehovot, first as the Chairman of its Executive Committee and as its President from 1966-1969. 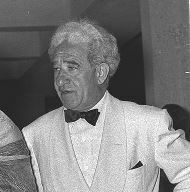 Weisgal was a scholar, entrepreneur and lover of theater. He edited newspapers and published an autobiography.